The dab craze has challenged vaporizer engineers to come up with the perfect machine for taking dabs (i.e. hits of concentrated wax or butane hash oil) without having to use a titanium nail and butane torch. We decided to pick one up to see if the Baker really delivered on its promise. First thing we noticed about the Baker is how user-friendly it is. 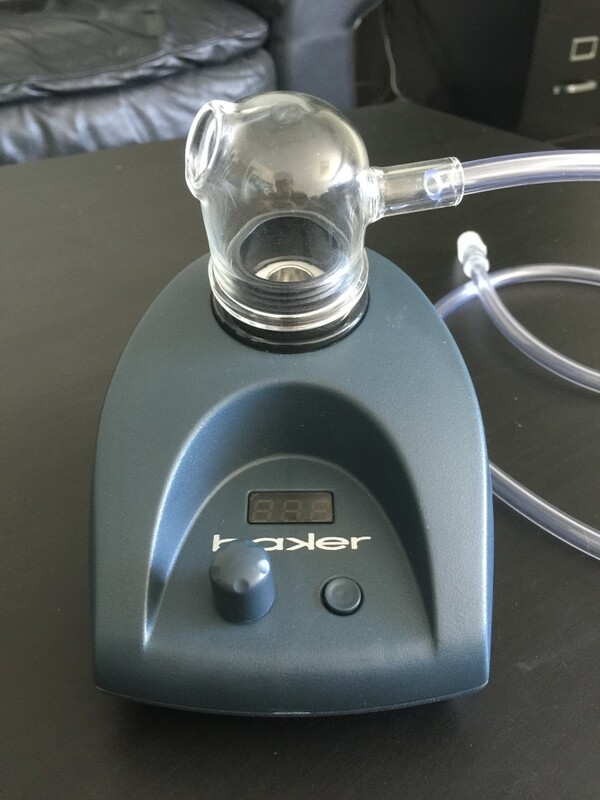 It’s really small and very simple to operate whether you’re new to the science of vaporizing or a seasoned veteran. The Baker is pretty compact and there aren’t a whole bunch of extraneous parts to fumble with. This makes it a really good vape for someone who’s used to taking rips from your standard glass pipes like bongs or dab rigs. 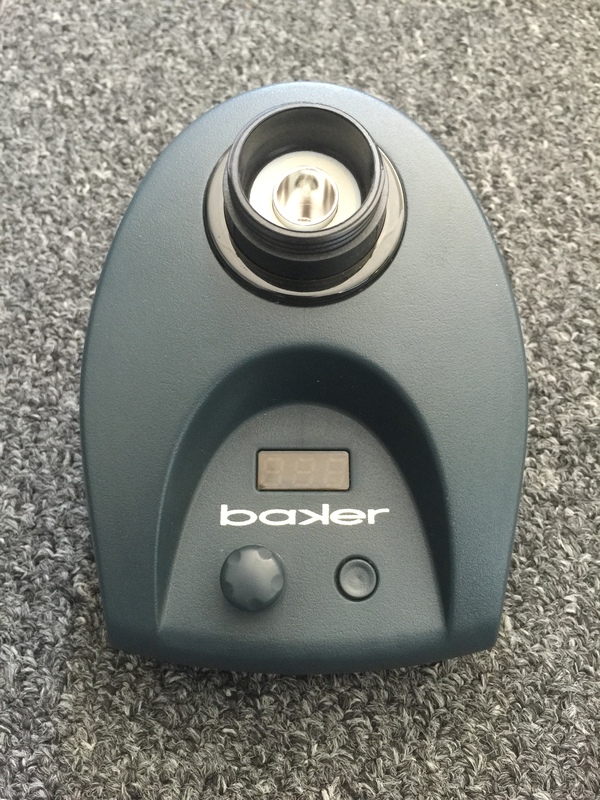 The Baker plugs into a wall outlet so its getting consistent power and you don’t need to fire up a big butane torch in order to get to the ideal dabbing temperature. It’s capable of reaching 800 degrees Fahrenheit so they include a titanium bullet to keep your wax residue separate from the herbal chamber. 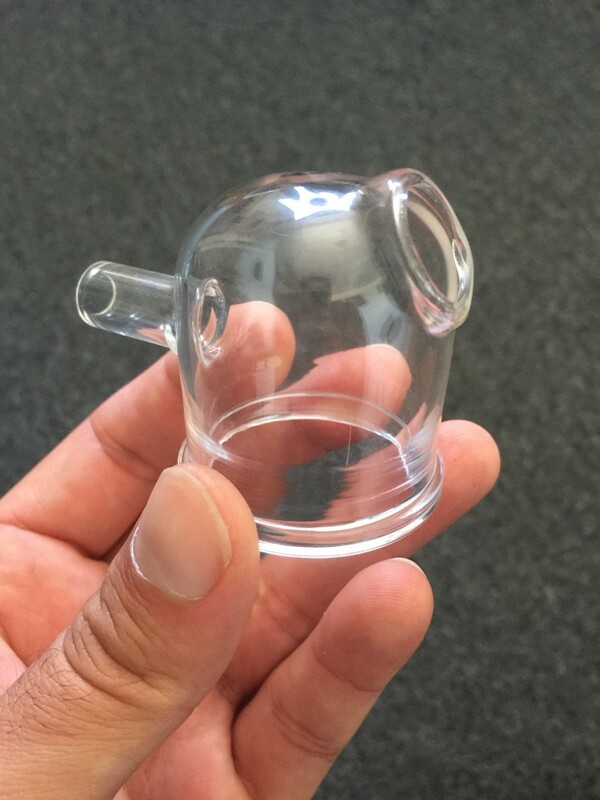 The last piece for the dab function is the glass globe which sits atop the Baker and has an opening for the silicone tube to attach. The Baker heats up in under 5 minutes for oils, and under 3 minutes for dry herbs. We were surprised at how consistently the Baker heated for us; even after several hours of repeated sessions, our ruthless testing could not faze this resilient little vape. If you’re a big time vape connoisseur or someone who enjoys smoking out of a bong, you’re going to love this vaporizer, mainly because VaporBlunt gives users the option of direct inhalation or by attaching the end of the whip tubing to your favorite bubbler or water pipe. All of the common sizes of connection come standard with the Baker: 18mm & 14mm PonG (Plastic on Glass) Adapter as well as an 18mm GonG (Glass on Glass) attachment. The one downside that we noticed with the dab experience was the process that is required to take a dab hit. The herb delivery is fine for either group or solo sessions, but it’s hard to dab by yourself due to the size of the opening your dab tool needs to fit through in order to reach the crucible. The Baker is incredibly effective, but it’s not exactly the prettiest tool in the box. It’s small and discreet with a horseshoe style design featuring the ceramic heating element in the middle. 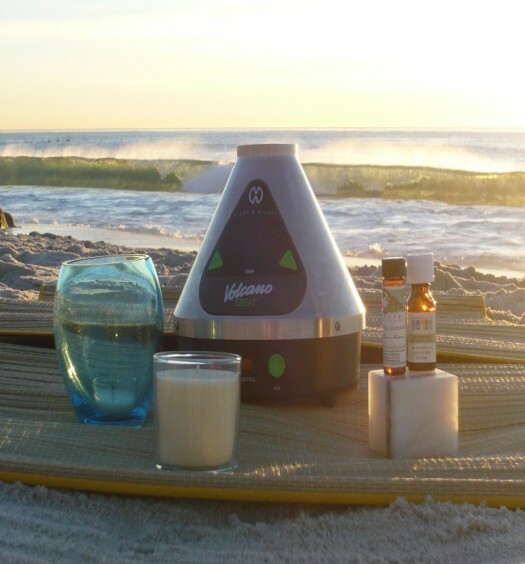 It reminds us of the old school Vick’s Vaporizers that mom used to use in your room when you had a cold. What’s cool about it is that you can add on your favorite bong or bubbler for extra water filtration and cooled vapor. 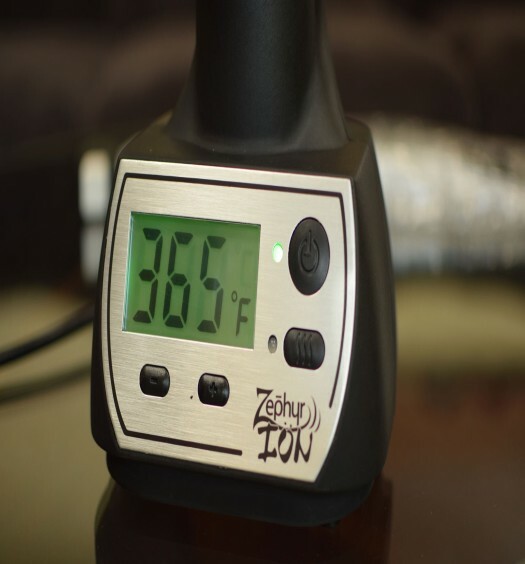 This is definitely a powerful device that works much better for the concentrates than dry herbs; though it’s billed as a dual functionality vaporizer, our testing revealed much better results with wax and BHO than with our dry herbs. When we say better, we mean amazingly better. No joke. If you enjoy the potent rush you get from oil and wax dab hits, but don’t want to mess with torching a nail and cleaning a glass dab rig, the Baker is the perfect solution. It’s ideal for group sessions as the inhalation method can be a little tricky if you’re also manning the dab tool. Best to have a best babe or buddy to help you get the most out of your Baker experience. You can pickup a Baker Dab from this trusted retailer. If you’re not a fan of traditional dabbing methods involving enails and butane torches, then the Baker Dab is a great option. It’s essentially the only desktop unit that performs really well with concentrates. I agree this is one amazing machine. I only have one problem. I lost the oil bullet while traveling. I did the logical thing and contacted the supplier I had purchased it from. I was told they don’t sell the replacement bullets. I then e-mailed the manufacturer and haven’t heard back yet. These are extremely small and easy to misplace. I’ll keep you posted as to the outcome.